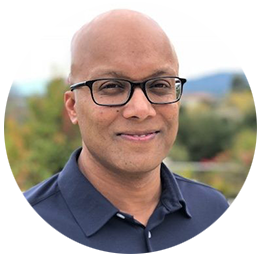 A serial entrepreneur, Praveen has been involved with and influential in the founding of five successful startups, most notably Pipal Systems, where he served as CEO, and ChargePoint, where he served as president. He is currently an MIT Connection Science Fellow. Praveen has held senior R&D executive positions at Riverstone Networks, Lucent Technologies, and SGI. He is a seasoned technology and operating executive whose teams have developed industry-recognized, market-leading technologies and solutions in telecom, clean-tech and high-performance computer industries. Examples of projects directly impacted by his teams include supercomputers used to generate black hole simulations and violent weather forecasts, Electric Vehicle (EV) Charging Infrastructure, and DSL broadband access. He is named co-inventor on 10 patents and holds a Bachelor of Science degree in Computer Engineering from Santa Clara University. Praveen is passionate about partnering with other inspirational entrepreneurs to inspire and support their work, especially in the fields of AI and blockchain technologies, in a concentrated effort to transform and impact many industries. He also serves as an active board member and advisor to 7 startups and 2 universities.